Elizabeth Elmstrom’s interest in ecology began during her years as an undergraduate at the University of Vermont, where she studied Environmental Science and spent her summers researching nutrient cycling in the streams and wetlands of the Northeast. After graduating, Elizabeth worked in southwestern Greenland studying carbon respiration. Shortly thereafter, Elizabeth began a position as a research assistant in Woods Hole, Massachusetts, where she studied similar topics in estuaries, saltmarshes and tropical mangroves, prior to entering graduate school. Like many ecologists, she enjoys spending time in the outdoors, hiking, cycling, and being on the water. Elizabeth’s major research interest focuses on the cycling of elements through the environment, specifically carbon and nitrogen cycling in aquatic ecosystems. She is most interested in studying climate and human-derived impacts to ecosystem function and water quality. 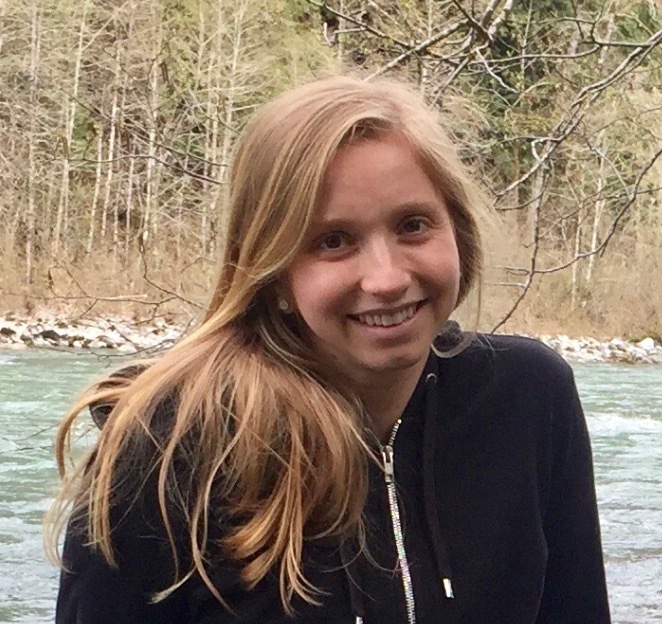 Elizabeth’s current work focuses on the impacts of altered hydrology in Puget Sound rivers on nitrogen cycling in the context of climate change. More specifically, she is interested in using stable isotopes as tools to understand ecosystem productivity and energy flow in rivers from headwaters out to sea.